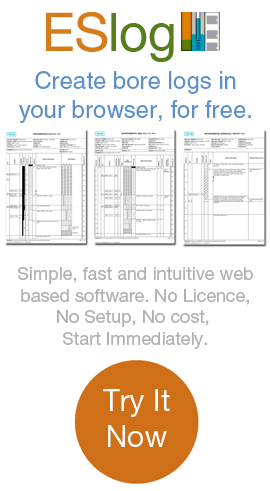 Why use ESdat for your Environmental and Groundwater Data? Historically, data is often spread around in multiple files, directories, and file formats. This can make it difficult to obtain all site/project data, and understand how it all ties together. ESdat consolidates all data into a single database, making it easy to locate, and consistent in it's arrangement. highlight exceedances of environmental standards on tables or maps. Analyze the data as a time-series graphs, trend analysis, or on a map. ESdat automates all these tasks, eliminating the time required to do it manually and allowing professionals to focus on assessing the data, rather than cutting and pasting. In a recent survey most users saved over 40% of their office time working with their data (see User Survey). Excel based methods of data management involve extensive cutting and pasting of data. Cutting and pasting of data is usually tedious and errors inevitably creep in. Often multiple copies of the data are needed to produce map, graph and table outputs. ESdat can import laboratory data automatically, eliminating the need to manually manipulate the data. Field data can be manually entered or automatically downloaded from a PDA. Combining new data is easy. Traditionally, whenever additional data is received it is necessary to update two or three copies of existing data, such as tables, graphs or maps. This is error prone and the multiple copies of the data lead to possible inconsistencies. ESdat combines all data into a single database, and outputs are easily re-generated or updated automatically. Within any single team there is typically a variety of methods used to manage environmental data, which reflects each individuals skill levels in Excel or Access. Thus, sharing of data between team members is usually time consuming and imperfect as people need to learn how to find and use data managed by others. If all data is stored in ESdat people know where to find it, and how to use it. Many site holders have a regulatory obligation to be able to access their environmental data quickly, easily, accurately, and demonstrate an audit process to confirm the accuracy of that data. ISO 14001 also requires organizations to have systems in place to manage their data. Clearly, copying and pasting data in Excel is not consistent with those obligations. ESdat can store a complete audit trail of the data, including Certified Laboratory, Calibration, or other certificates, as well as track edits and deletions through the Change Tracker. The data is quick to access and present in required formats.